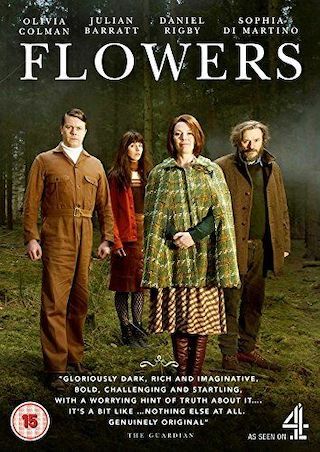 Flowers is a British 30 minute scripted comedy television series, which kicked off on April 25, 2016, on Channel 4 and is broadcast every Monday at 22:00. The show is currently in its 2nd season. Channel 4 opted not to pick up Flowers for Season 3. Flowers officially canceled on Channel 4. Sign up to track down your favorite TV shows. Flowers is a comedy about an eccentric family, the Flowers, struggling to hold themselves together. Maurice (author of twisted children's books The Grubbs) and Deborah are a husband and wife who are barely together but yet to divorce.